Shai & Emmie star in Break an egg! / Quvenzhané Wallis with Nancy Ohlin ; Illustrated by Sharee Miller. by Wallis, Quvenzhané, 2003- [author.] | Ohlin, Nancy [author.] | Miller, Sharee (Illustrator) [illustrator.]. Edition: First edition.Material type: Book; Format: print ; Literary form: Fiction ; Audience: Juvenile; Other title: Shai and Emmie star in Break an egg! | Break an egg!.Availability: Items available for loan: University of Texas At Tyler (1). Location(s): CML Juvenile Fiction Area W2112BR. Freakboy / Kristin Elizabeth Clark. by Clark, Kristin Elizabeth [author.]. Edition: First Square Fish edition.Material type: Book; Format: print ; Literary form: Fiction ; Audience: Juvenile; Publisher: New York ; Square Fish ; 2016Other title: Freak boy.Availability: Items available for loan: University of Texas At Tyler (1). Location(s): CML Juvenile Fiction Area C5921fr. The terrible two / Mac Barnett, Jory John ; illustrated by Kevin Cornell. by Barnett, Mac [author.] | John, Jory [author.] | Cornell, Kevin [illustrator.]. Material type: Book; Format: print regular print ; Literary form: Fiction ; Audience: Juvenile; Other title: Terrible 2.Availability: Items available for loan: University of Texas At Tyler (1). Location(s): CML Juvenile Fiction Area B2590TE. Material type: Book; Format: print ; Literary form: Fiction ; Audience: Adolescent; Publisher: USA ; Philomel Books , 2015Availability: Items available for loan: University of Texas At Tyler (1). Location(s): CML Young Adult Fiction Area J519SK. Big Nate : In The Zone Lincoln Peirce. by Peirce, Lincoln [author,, artist.]. Edition: First edition.Material type: Book; Format: print ; Literary form: Fiction ; Audience: Juvenile; Other title: In the zone.Availability: Items available for loan: University of Texas At Tyler (1). Location(s): CML Juvenile Fiction Area P378ZO. Rush Revere and the American Revolution : time-travel adventures with exceptional Americans / Rush Limbaugh with Kathryn Adams Limbaugh ; historical consultant, Jonathan Adams Rogers ; children's writing consultant, Chris Schoebinger ; illustrations by Christopher Hiers. by Limbaugh, Rush H [author.] | Limbaugh, Kathryn Adams [author.] | Hiers, Christopher [illustrator.]. Edition: First Threshold Editions hardcover edition.Material type: Book; Format: print ; Literary form: Fiction ; Audience: Pre-adolescent; Publisher: New York : Threshold Editions , 2014Availability: Items available for loan: University of Texas At Tyler (1). Location(s): CML Juvenile Fiction Area L7332rra. Let's go to school / text by Jacqueline A. Ball. by Ball, Jacqueline A [author.] | Sanrio, Kabushiki Kaisha. Material type: Book; Format: print ; Literary form: Fiction ; Audience: Primary; Other title: Let us go to school.Availability: Items available for loan: University of Texas At Tyler (1). Location(s): CML Easy Fiction Area B1874go. Lunch Lady and the video game villain / Jarrett J. Krosoczka. Edition: First edition.Material type: Book; Format: print ; Literary form: Fiction ; Audience: Primary; Availability: Items available for loan: University of Texas At Tyler (1). Location(s): CML Juvenile Fiction Area K93VI. Big Nate flips out / Lincoln Peirce. by Peirce, Lincoln [author,, illustrator.]. Edition: First edition.Material type: Book; Format: print ; Literary form: Fiction ; Audience: Pre-adolescent; Publisher: New York, NY : Harper, an imprint of HarperCollinsPublishers, Availability: Items available for loan: University of Texas At Tyler (1). Location(s): CML Juvenile Fiction Area P378FL. Tales from a not-so-happy heartbreaker / Rachel Renée Russell with Nikki Russell and Erin Russell. by Russell, Rachel Renée | Russell, Nikki | Russell, Erin. Edition: First Aladdin hardcover edition.Material type: Book; Format: print ; Literary form: Fiction ; Audience: Pre-adolescent; Availability: Items available for loan: University of Texas At Tyler (2). Location(s): CML Juvenile Fiction Area R9665he. Diary of a wimpy kid : hard luck / by Jeff Kinney. Material type: Book; Format: print ; Literary form: Fiction ; Audience: Pre-adolescent; Other title: Hard luck.Availability: Items available for loan: University of Texas At Tyler (1). Location(s): CML Juvenile Fiction Area K51ha. Happy endings : a story about suffixes / by Robin Pulver ; illustrated by Lynn Rowe Reed. by Pulver, Robin | Reed, Lynn Rowe | Beach, John | Live Oak Media (Firm). Material type: Sound; Literary form: fiction ; Audience: Primary; Publisher: [Pine Plains, NY] : Live Oak Media, ℗2013Availability: Items available for loan: University of Texas At Tyler (2). Location(s): CML Easy Fiction Area P981HA. by Rowell, Rainbow [author.] | St. Martin's Griffin (Firm) [publisher.]. 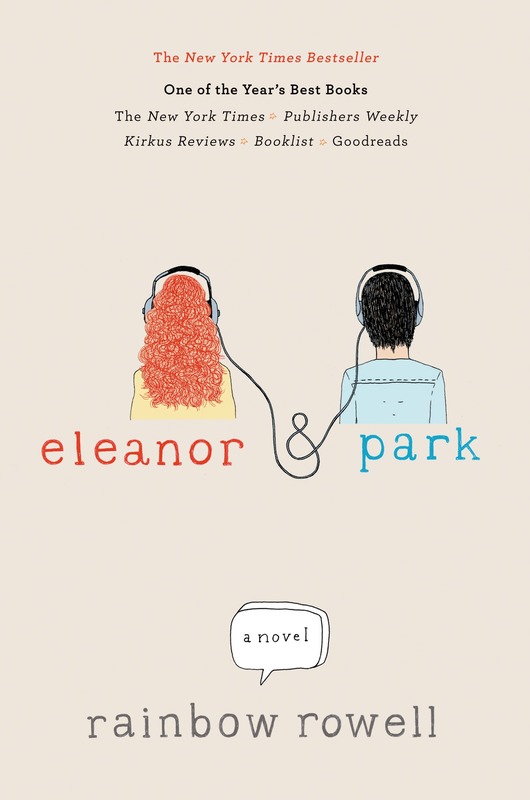 Edition: First edition.Material type: Book; Format: print ; Literary form: Fiction ; Audience: Adolescent; Other title: Eleanor and Park.Online access: Cover image Availability: Items available for loan: University of Texas At Tyler (1). Location(s): CML Young Adult Fiction Area R881EL. Curveball, the year I lost my grip / Jordan Sonnenblick. Edition: 1st ed.Material type: Book; Format: print ; Literary form: Fiction ; Audience: Adolescent; Publisher: New York : Scholastic Press, 2012Availability: Items available for loan: University of Texas At Tyler (1). Location(s): CML Adolescent Fiction Area S699CU. by Palacio, R. J | Alfred A. Knopf, Inc [pbl]. Material type: Book; Format: print ; Literary form: Novels ; Audience: Pre-adolescent; Publisher: New York : Alfred A. Knopf, 2012Availability: Items available for loan: University of Texas At Tyler (1). Location(s): CML Adolescent Fiction Area P153WO. by Telgemeier, Raina | Gurihiru [ill.]. Edition: 1st ed.Material type: Book; Format: print ; Literary form: Fiction ; Audience: Pre-adolescent; Publisher: New York : Graphix/Scholastic, c2012Online access: Contributor biographical information | Publisher description Availability: Items available for loan: University of Texas At Tyler (1). Location(s): CML Adolescent Fiction Area T2714DR. Tales from a not-so-smart Miss Know-It-All / by Rachel Renée Russell. Edition: First Aladdin hardcover edition.Material type: Book; Format: print ; Literary form: Fiction ; Audience: Pre-adolescent; Availability: Items available for loan: University of Texas At Tyler (1). Location(s): CML Juvenile Fiction Area R9665sm. Tales from a not-so-graceful ice princess / Rachel Renée Russell. Edition: 1st Aladdin hardcover ed.Material type: Book; Format: print ; Literary form: Fiction ; Audience: Pre-adolescent; Publisher: New York : Aladdin, 2012Other title: Dork diaries.Online access: Contributor biographical information | Publisher description Availability: Items available for loan: University of Texas At Tyler (1). Location(s): CML Juvenile Fiction Area R9665gr. Big Nate makes the grade / by Lincoln Peirce. Material type: Book; Format: print ; Literary form: Fiction ; Audience: Juvenile; Publisher: Kansas City, Mo. : Andrews McMeel, ©2012Availability: Items available for loan: University of Texas At Tyler (1). Location(s): CML Juvenile Fiction Area P378MA. The case of the incapacitated capitals / by Robin Pulver ; illustrated by Lynn Rowe Reed. by Pulver, Robin | Reed, Lynn Rowe [illustrator.]. Edition: 1st ed.Material type: Book; Format: print ; Literary form: Fiction ; Audience: Primary; Publisher: New York : Holiday House, c 2012Availability: Items available for loan: University of Texas At Tyler (1). Location(s): CML Easy Fiction Area P981CA.